Every achievement that you unlock until November 7 is going towards a good cause. Xbox has announced that from November 1-7, if players unlock 25 million+ achievements, the company will donate $500,000 to the Call of Duty Endowment, a charity benefiting veterans. It may seem like a tall order, but players have already unlocked 4.7 million achievements. 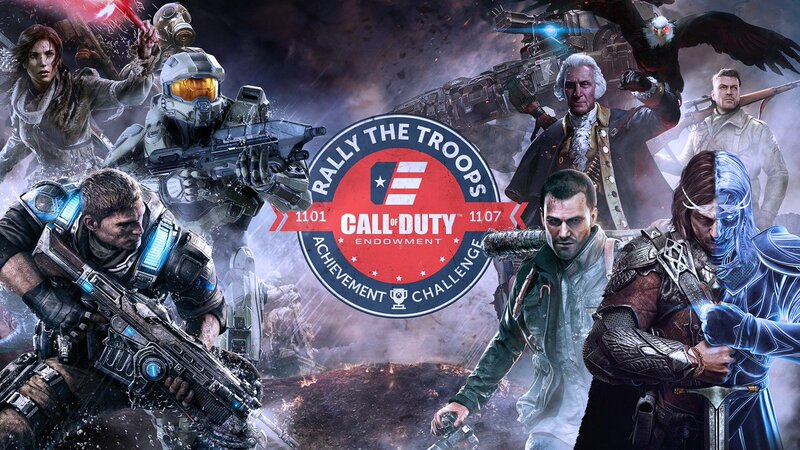 Participants can also enter to win various Rally the Troops prize packages that include a Xbox One S custom console, an Xbox One wireless controller, copies of Call of Duty WWII, and more. All you need to do is log onto your Xbox, select to opt in on the Xbox One Rally the Troops billboard, and play a multiplayer game by November 7. As with most Xbox giveaways, you can also follow Xbox on Twitter and retweet the Rally the Troops #XboxSweepstakesPost to enter. The Call of Duty Endowment is a nonprofit public benefit corporation supported by Activision Blizzard, founded by company CEO Bobby Kotick. Its goal is to fund organizations that help get unemployed veterans back into the workforce. It hopes to help get 50,000 veterans back to work by 2019, and so far has placed over 37,000 veterans in jobs since 2009.